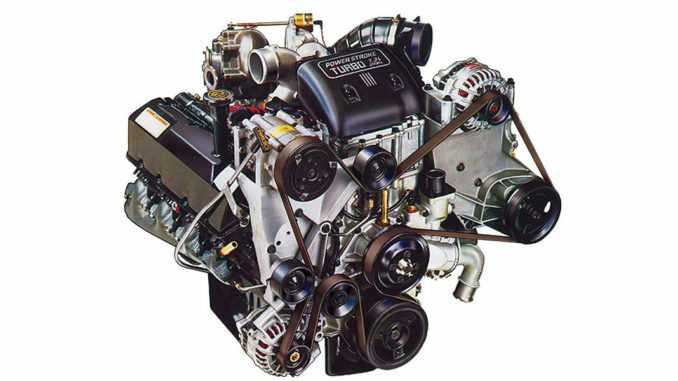 The 7.3LI Powerstroke engine is one of several diesel engines used by the popular American auto manufacturer. The term “Power Stroke” refers to a special class of engines that Ford has produced since the early 1990s. Initially, they were created under the brand name Navistar International. But in 2011, the engine family was produced under the name of “Ford Motor Company.” Initially, the engines were designed nearly exclusively for Ford’s F-Series of trucks, including the Super Duty vehicles. However, they were so popular and versatile that their application was extended to Ford’s medium-duty line of vehicles, too. The Powerstroke engine family competes with other large-block diesel engines from GM and Dodge. At the time of its debut, the innovative Powerstroke 7.3L was at the top of its class. It offered more power and performance capabilities than its peers and predecessors. It was also more fuel-efficient. Collectively, these features made the 7.3 one of the most popular diesel truck engines on the market. Simple but significant changes made throughout the years of production made the engine and its components sturdier and longer-lasting. Today, the 7.3 remains a reliable engine, many even consider it that best Powerstroke that was ever built. Unfortunately, the 7.3 Powerstroke was replaced by the 6.0 Powerstroke due to emissions standards. The camshaft position sensor failure can result in the engine not starting or worse, the engine turning off. A faulty tachometer is a sign of this problem. O-ring cracks or problems with the filter housing can cause the engine to not start. A leaking turbocharger causes power loss and an increase in exhaust temperatures. The EBPV valves can sometimes turn on and stay on in cold weather. This results in a whining or “jet-like” sound from the engine. The valve springs can float at higher speeds, which results in damaged pushrods. Finally, the IPR valve can crack or stick. This causes no-starts and other engine malfunctions. One of the most common components to fail on the 7.3L engine is the turbo. Fortunately, it is relatively easy to get a replacement part. That’s because the engines all have the same basic part, which is a Garett GTP38. There are slight variations in the turbo that you need based on your engine’s production year. Even with a powerful engine like the 7.3L, there are still opportunities for improvement. Whether you want to add on one part or additional components, there are a variety of ways to tweak, tailor, and ultimately improve your engine’s performance. Hybrid injectors are popular for maximizing horsepower. One advantage of using them with your 7.3L Powerstroke engine is that hybrid injectors use oil, much like the original turbocharger in the engine. However, the hybrid injector essentially gives the engine a performance boost. It is fed oil through a high-performance pump that is highly pressurized. Sometimes, the pressure reaches 3,200 psi. An added advantage to this injector is that can use existing oil in your engine to reach up to 550 HP. Only if you want greater horsepower production do you need to use a higher-pressure oil pump. This component is generally sold as an aftermarket part. Another viable option is the drop-in turbo. There are a number of options available with direct replacement turbos. One of the most popular is the Garrett TP38, which stands out for its power and its compact size. This turbo enhancer features a bolt-in mechanism that makes it integrate seamlessly into the engine. Using this performance enhancer, your engine’s output can increase to a maximum of 450 HP. The type of turbo booster that you get depends on the truck that you drive. Two automatics, primarily the 4R100 and the E40D, are great tools for keeping an engine going strong. These components are designed to extend the lifespan of a truck’s transmission up to 400 HP. Even if these components need to be replaced eventually, doing so is still cheaper than replacing a transmission. Any component that you use in your Powerstroke 7.3L engine will increase its power and longevity. However, to get up to the really high numbers (500-800 HP), you will probably have to custom design and build the engine and/or transmission. If you have an automatic transmission, you’ll want to build it to reach 500-550 HP. To reach 600-800 HP, you’ll want to build the transmission yourself. Modifying the engine with stronger and more capable components is a good idea too. Despite a nearly 20-year difference in their initial production date, both the 7.3L and the 6.0L are quality choices for an engine. The 6.0L was Ford’s response to greater emissions control standards. It also gave the company a chance to improve some components to provide more power and efficiency. This included installing a more economical fuel injection system, a turbocharger with variable geometry, and a pressurized hydraulic injection system. This automatically gave the 6.0L engine the upper hand when it came to power; instead of the 275 HP capacity of the 7.3L engine, this one churned out an impressive stock HP of 325. A design change for the 2005 model year increased its torque capacity from 560 LB-FT to 570 LB-FT. Other notable specs of the 6.0L Power Stroke are a 365 ci displacement, a stroke of 4.13 inches, a four-cylinder valvetrain, and a compression ratio of 18:0:1. The 6.0L engine also has more sophisticated technology, including a variable turbo, that can alter the turbo’s velocity. When it comes to base performance the 6.0L Power Stroke gets a slight advantage. As with the 7.3L, there are a number of modifications that you can add to make the 6.0L even more powerful and responsive. When it comes to custom design, modification options, and even the quality of its components, the 7.3L gets the upper hand. Like the 7.3, the 6.0L is a solid, reliable, and reputable engine. However, that doesn’t mean it is free of problems. Issues that you may face with the 6.0L include cracked EGR coolers, bad fuel injectors, sticking turbos, and blown head gaskets. No matter which one you choose, it’s hard to go wrong with any engines in Ford’s Power Stroke family. The line is one of the most recognized in the world, and it powers millions of diesel trucks around the country. The 7.3L is the one that started it all. Proving its worth, you’ll still find them going strong on the road today.